Consider this: managers spend between 30 to 80 percent of their time in meetings and more than 50 percent of them consider many meetings to be a “waste of time.” Ninety percent of managers attribute the failure of most meetings to a “lack of planning and organization,” and most managers have never been trained on how to host a productive meeting. When you add in the complexity of leveraging the Internet for hosting distributed meetings online, it is even more difficult to ensure a successful result. Without some amount of preparation and planning, remote team members can feel disconnected, disregarded and even unwelcome in meetings. At oDesk, our in-house full-time employees work from home at least one day a week, and we’re regularly collaborating with a team of about 250 remote contractors who act as a crucial extension of our internal team. This has forced us to study how to make meetings work for all involved. We started by defining the roles involved in making a remote meeting work: the organizer, coordinator, presenter(s) and attendees. Each role has its responsibilities to the team, and by defining those roles, we’re able to ensure accountability for each meeting’s success and seek out ways to continually improve the remote meeting experience. Adopting these roles has allowed us to make sure members of a distributed team are as active, included, and productive during a meeting as those who are on-site. Someone needs to make sure the meeting will accommodate all participants. The format of the meeting will largely depend on the needs of the group and the goals of the meeting. The meeting organizer works with the presenter to ensure that the right format is chosen and prepared ahead of time. Where will we hold the on-site meeting? Generally, this will be a conference room or office large enough to hold all the on-site attendees, with the technology necessary to accommodate remote attendees. What kind of access do remote attendees need? Is audio sufficient, or do they need video of the room? Do they need to be able to see slides or other materials? How will remote attendees “dial in”? This means choosing the platform of the meeting, which can include a bridge line, Skype, or a desktop sharing/presenting platform such as GoToMeeting. How will we communicate when and how to attend? 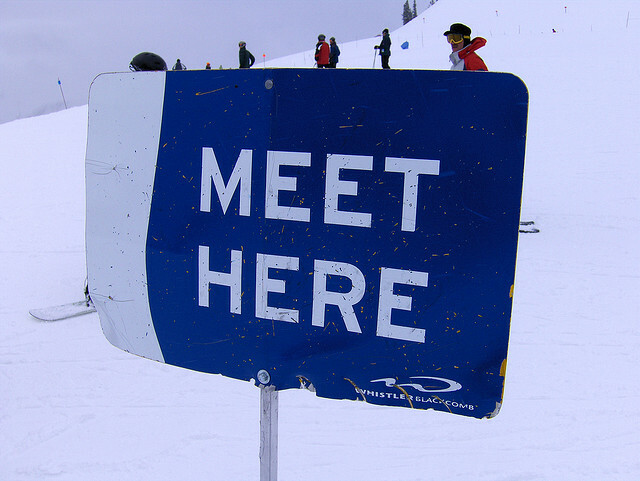 Invitees need to know when, where and how to attend the meeting. If remote attendees need to have a login to register or to download and install a plugin, the organizer makes sure they are aware of this potential roadblock and are prepared in advance. Is everyone clear on the roles and their responsibilities? Make sure all attendees are aware of the presenters and meeting coordinator, and share the agenda and best practices with them. Presenters must remember to take into account the remote participants. When you’re explaining concepts or an initiative to a distributed team, will there be visual aids? Do you intend to show something on a computer screen? Does it need to be seen live, as you manipulate it, or can you send a copy of the material, such as a PowerPoint presentation, to remote participants so they can follow along? Prior to the meeting, the presenter should work with the meeting organizer to make sure they—and the facility—are prepared technically to present via local projection and remote platforms. Log onto their presentation platform five minutes early to address any technical difficulties. Make sure to verbalize throughout the meeting what attendees should be seeing (slide number, visual cues, etc.) to help flag sharing problems quickly. Ask whether the remote team has any questions. It can be hard for remote participants to interject or notify organizers of their desire to speak. Give them equal opportunity to contribute by offering them the floor at meeting/slide transitions. If a contributor is not near a microphone or speakerphone, repeat the statement or question yourself to ensure remote attendees can hear all conversations (since you’ll probably be best situated for microphone pickup). Identify a coordinator before the meeting. This person makes sure that the technical side runs smoothly and is prepared to respond to challenges as they arise. The meeting coordinator can also be the organizer, but should not be a presenter. If presentations are being made from more than one location, there should ideally be a coordinator in each place. Also, the coordinators should be members of the department presenting the meeting, to ensure that they’ll understand the material being presented, even if they’re distracted by the on-the-fly back-end management. Facilitates an instant messaging group chat with remote team members, including updating the conversation regularly as problems are recognized and addressed. This IM session allows remote members to communicate technical difficulties or other distractions that need to be addressed without interrupting the meeting flow. Handles all troubleshooting requiring local action, such as adjusting microphones, encouraging speakers to talk louder, refreshing slide screens, etc. Logging onto the platform five minutes early to address any technical issues prior to the meeting. Communicating difficulties during the meeting to the coordinator via the chosen instant messaging channel. Whatever platform you choose, adapt your presentation to the platform’s strengths (don’t try to present a PowerPoint over a direct-dial phone call), and make sure that everyone is prepared. Check in with remote attendees afterward to make sure they had a positive experience, and work on ironing out wrinkles as they’re identified. At oDesk, we’ve been refining our techniques for years, and we’re progressing toward meetings that are every bit as easy as having everyone under the same roof — sometimes even easier. More importantly, we’ve made sure that our remote workers are able to fully contribute to our success at least as well as if they were in our office. Which is the whole point of what we do, after all. Gary Swart is CEO of oDesk. He has more than 17 years’ experience leading remote and local teams as an executive at Intellibank, IBM and Pure Software. This appears to be spam. If not, I’m wondering who would brag to the world about scamming their boss. Sure doesn’t encourage me to click that link. Thanks for writing these tips as I may have yet to revamp my rules on remote meetings. I’d love to cut it down to 30-40 minutes instead of 1 hour or more. I think many topics can be relayed via email though. Another tool I’d like to suggest for the meetings (both onsite and remote) is SyncPad (http://mysyncpad.com), so that everyone can be on the same page during a presentation or work on the same whiteboard.